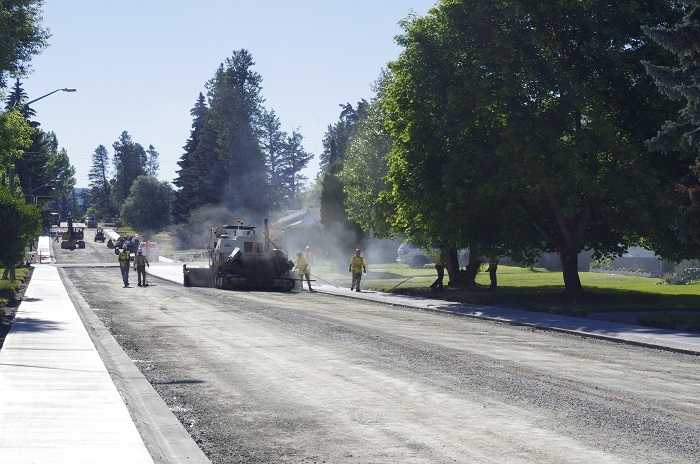 Cranbrook, BC (July 6, 2018) -- Two of the City’s major capital construction projects are already nearing completion with paving underway and scheduled to be complete on the 9th Street South and 12th Avenue South projects by the beginning of next week. The City’s contractors for these respective projects, Mackay Contracting and B.E Civil Projects, have been working diligently to stay ahead of schedule and take advantage of the early start to this construction season. Curbs and sidewalks have been poured, with landscaping, driveway and pathway restoration to take place in the coming weeks. Mike Matejka, Manager of Infrastructure Planning & Delivery for the City of Cranbrook, is very pleased with the progress to date. Matejka also notes that the contractors have been making diligent efforts to keep property owners informed and sites safe and clean during the work, which in the long run make the project more successful for everyone involved. For the City’s largest project of 2018, Phase 1 of Cobham Avenue, the Storm Sewer installations are nearly complete within the roadway, with road construction and curb installation following closely behind. Although there will be a new storm sewer outfall into Jim Smith Creek, the City has installed a high capacity Stormceptor treatment structure to eliminate grit and contaminants from entering the creek, and has also installed several new drywells along the roadway, which will allow for a significant amount storm water to enter and dissipate through the ground rather than into the storm sewer system. Cobham Avenue is still scheduled to be substantially complete later this summer, but disruptions will be reduced once the storm sewer infrastructure is complete. For all projects, the City and its contractors greatly appreciate the patience and understanding of the public as the work continues. For the safety of the traveling public and the workers, please respect the traffic control personnel, all signage and detour routes, and avoid trespassing through nearby private properties or narrow side streets. Residents in the New Lake and Cross Road areas are asked to continue to take Highway 3 and Jim Smith Lake Road to avoid delays associated with the project site. 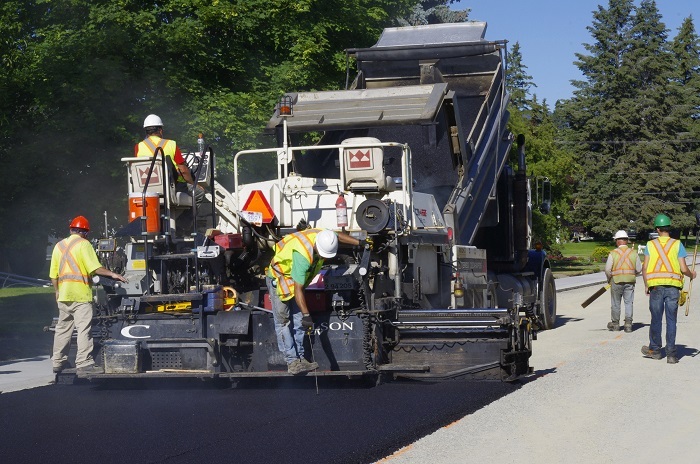 As some of these projects are lined up to be completed earlier in the summer, the City is also moving ahead with some storm water management, paving and sidewalk work anticipated to take place in the summer and early fall.